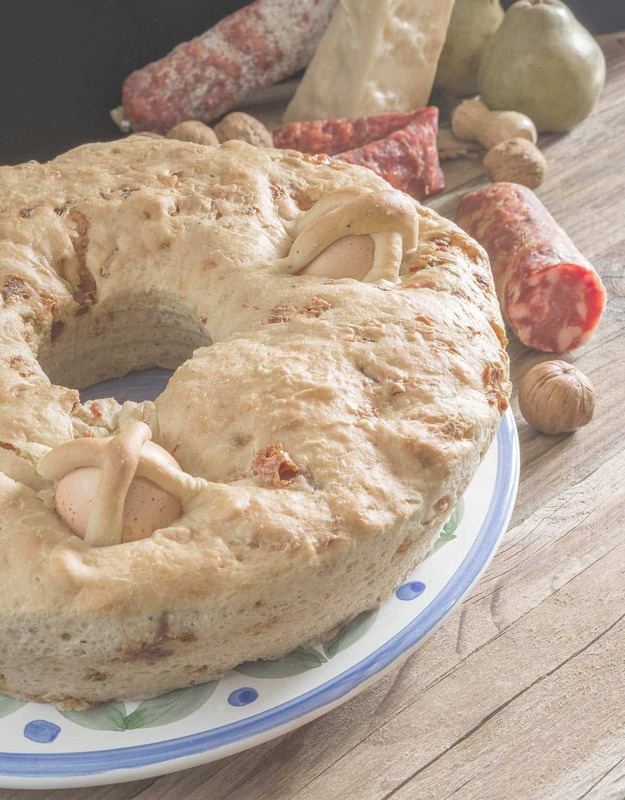 The Casatiello is a rustic cake typical of the Easter tradition in Neapolitan cuisine, filled with meats and cheeses and decorated with whole eggs. Tradition has that it is prepared on Friday evening, left to yeast the entire Friday night, only to be fired the next morning, Easter Saturday, and then eaten on Easter Sunday. Step 1 Dissolve yeast in warm water (not too hot). Stirring to dissolve it. Step 2 Then pour the mixture into the bowl of a stand mixer equipped with a hook. Step 3 Add the other fats: olive oil and lard, and mix in. Begin mixer at a low speed and add half the flour amount. Step 4 After a couple of minutes add the salt. Step 5 At this point, add the remaining flour and continue to mix at medium speed. 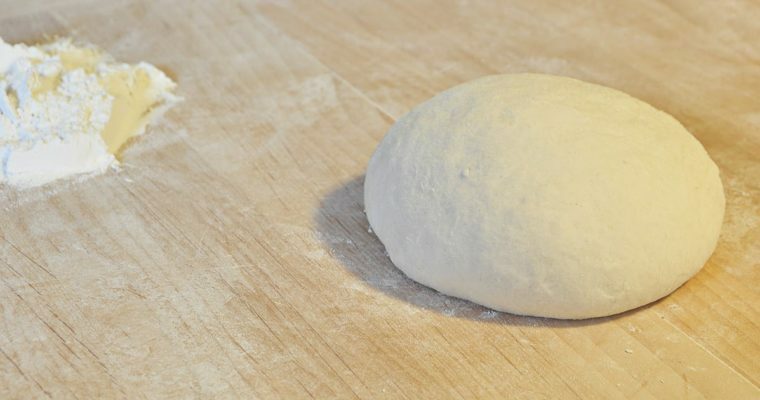 The dough must have a soft consistency, but not excessively. It will take about 10 minutes of working with the stand mixer. Step 6 Once the mixing is finished, stop the mixer and transfer the dough to the worktop just the time to give a round shape. Let it rest on the worktop as you prepare the filling you do not need to cover it. Step 7 Remove the skin from the salami and proceed to cut both the salami and cheese into dime-sized cubes. Step 8 Now, remove a piece of the dough (about 80 grams) and set it aside: it is needed to seal the eggs on the pie afterward. Step 9 Slightly flatten the remaining dough. Step 10 Add the cheese cubes and salami in the dough, and work it with your hands until all the ingredients are incorporated well. Step 11 Now add abundant black pepper and knead it some more to make it absorb. Step 12 Next, shape the dough into a long cylinder-like shape. Take a donut bowl of 24 cm in diameter and stuff the dough in it, making sure it is molded into the shape of the container completely and sealing in the two ends. Step 13 Now place the raw eggs in a 4-point, well-spaced, light-weight manner adding slight pressure into the dough. 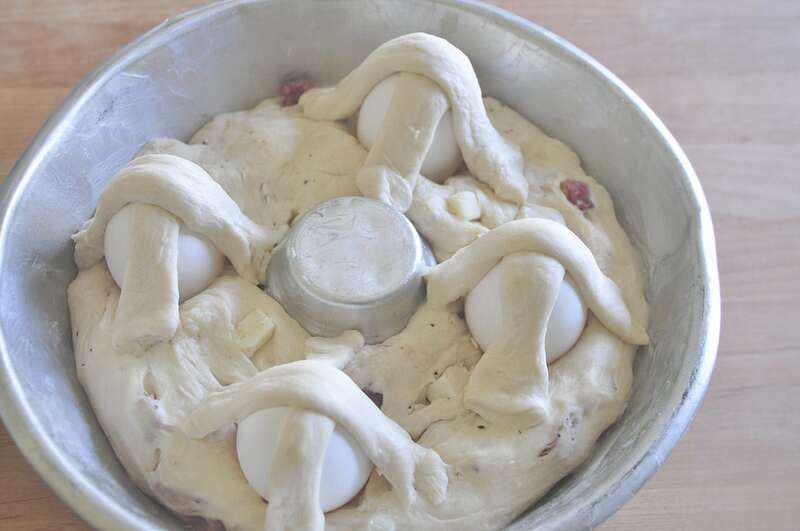 Take the dough previously put aside and divide it into 8 pieces to form strips, which you will place crosswise, like a basket, on the eggs to clamp them down. Step 14 When finished, cover the whole with a clean cloth and allow it to rise at room temperature away from air currents for about 1 hour and a half. 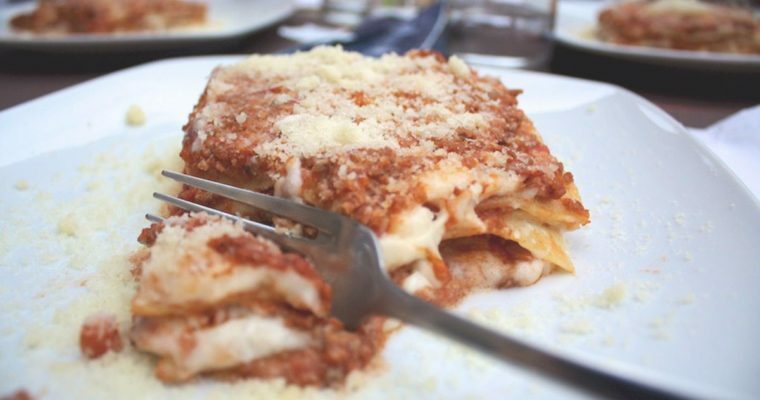 Once the volume is nearly doubled, cook your Neapolitan Casatiello in a preheated oven at 340 ° for 75 minutes in the lower oven shelf. Step 15 Once cooked, let it cool, then gently remove it from the container and place on a serving dish. 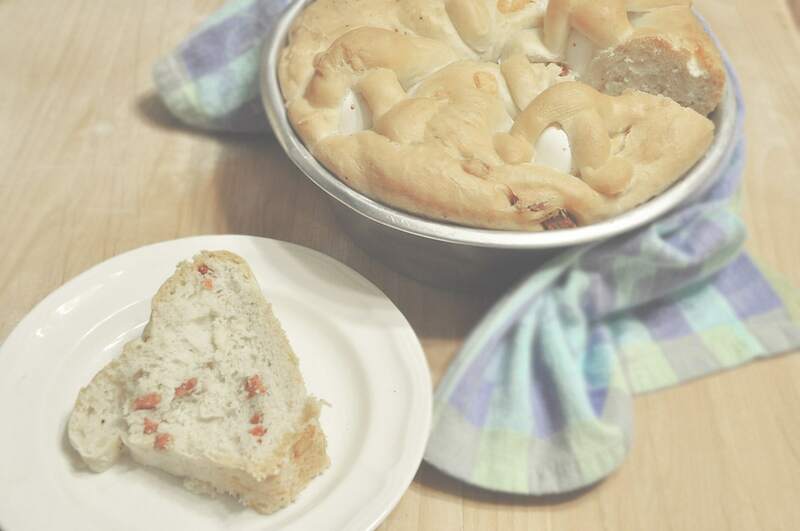 Step 16 Your Neapolitan Casatiello is ready to be shared with the whole family!